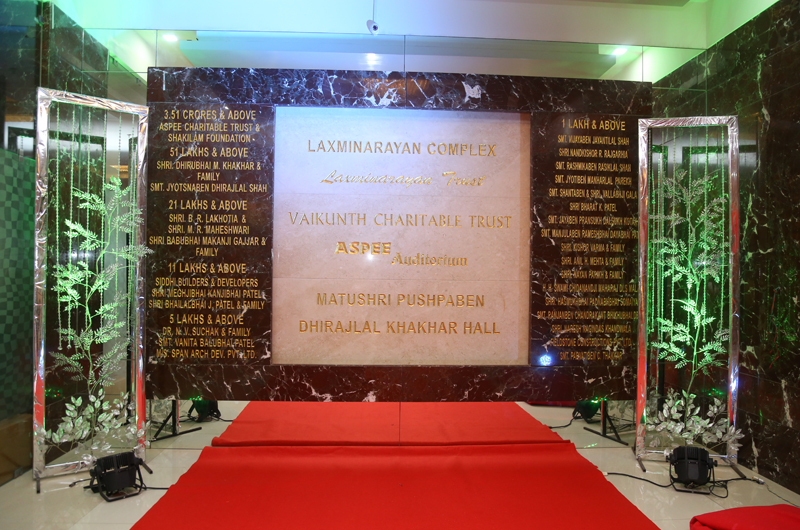 Aspee auditorium, a state of art creation conceived by the trustees of laxminarayan trust and vaikunth charitable trust with sole purpose of promoting the art, culture and aesthetic sense a multipurpose community hall for the society at large for religious, cultural, educational and social functions. 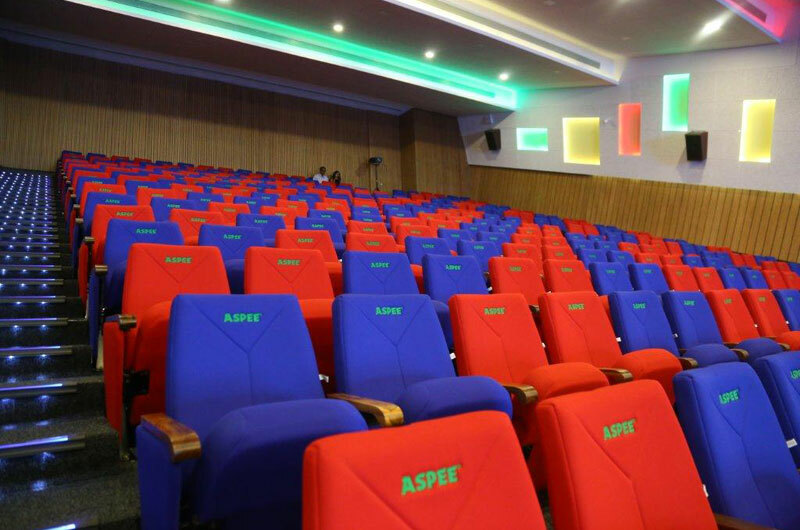 At " aspee auditorium " we believe entertainment can be used to do good for our societies ethical conduct and social responsibility which is strongly alingned to create & increase value for all. Corporates/individuals can create engagement acquisition & referall opportunities , the future prospect is to create new opportunities to promote culture in structured manner. 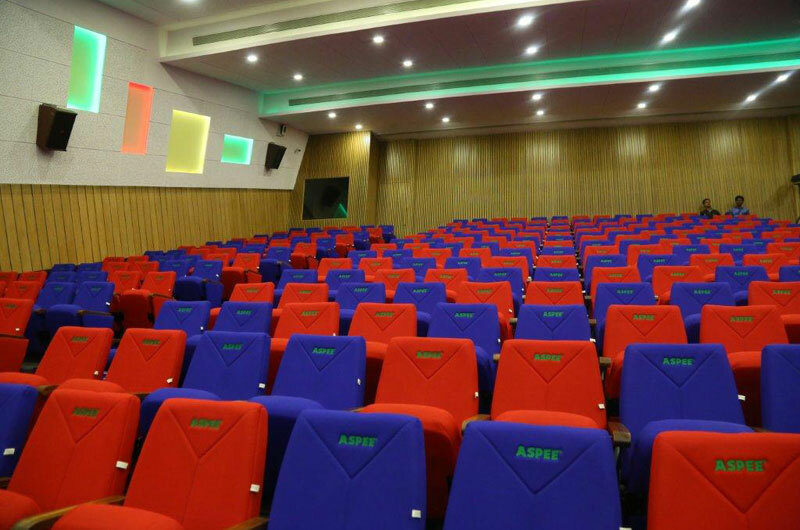 ➤ Some salient features of "Aspee Auditorium"
An A/C Reharsal Room of 400 Sft. 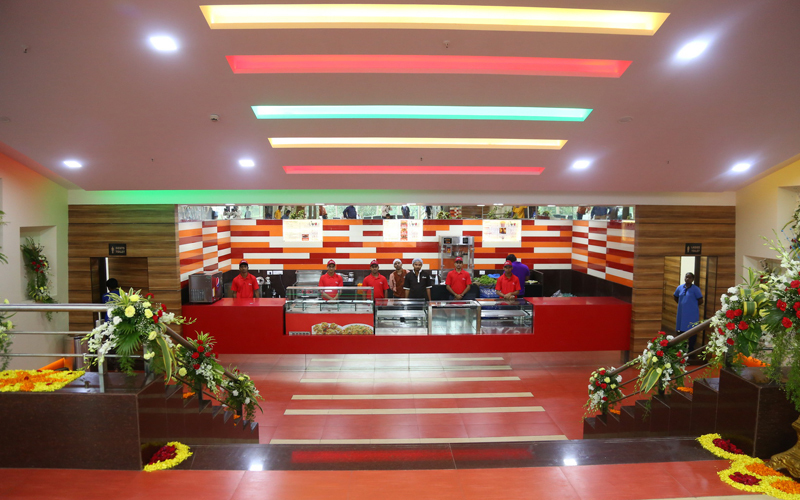 Strategic location on Marve Road, barely 300 meters away from S. V. Road and Marve Road junction. 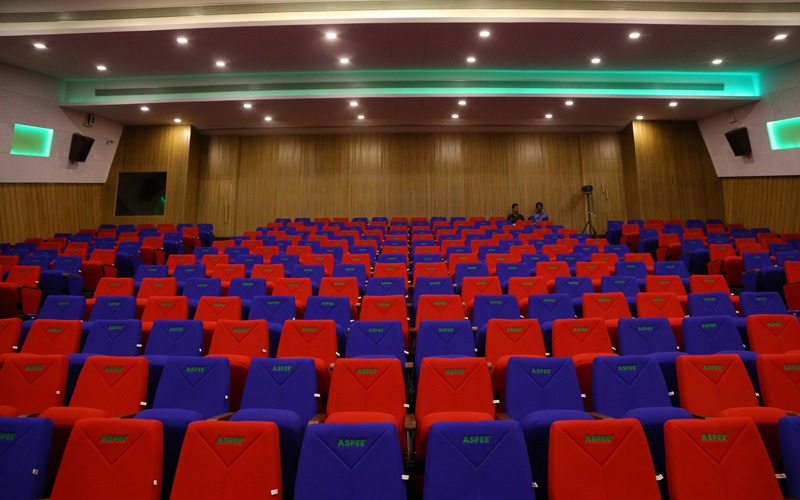 State of the art theatre with cozy seating arrangement of 574 seats. 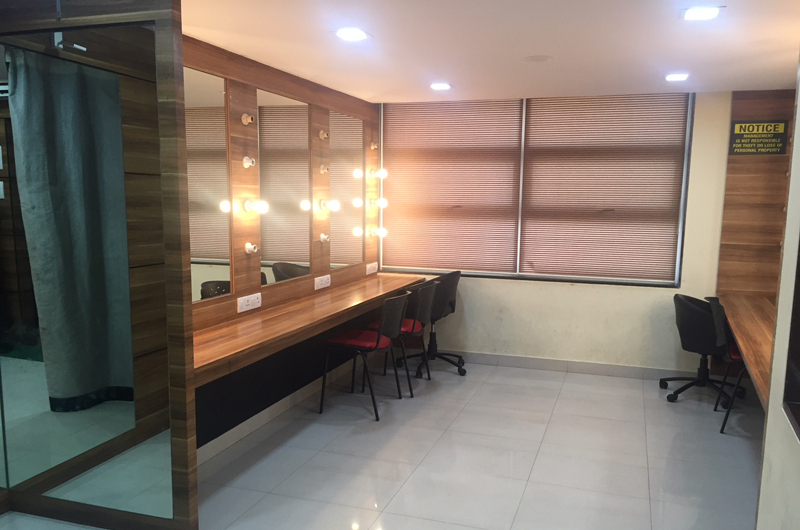 The stage, green rooms and cry room have been custom-built executed. 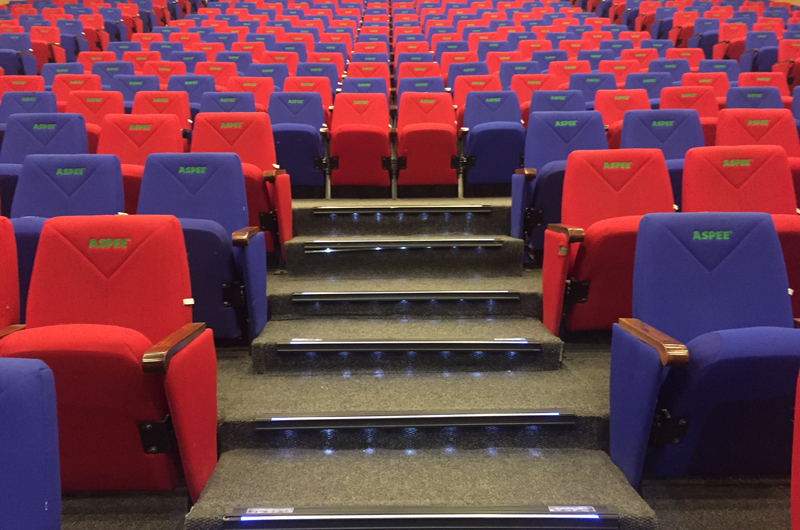 Lighting and Sound suitable for multi media. 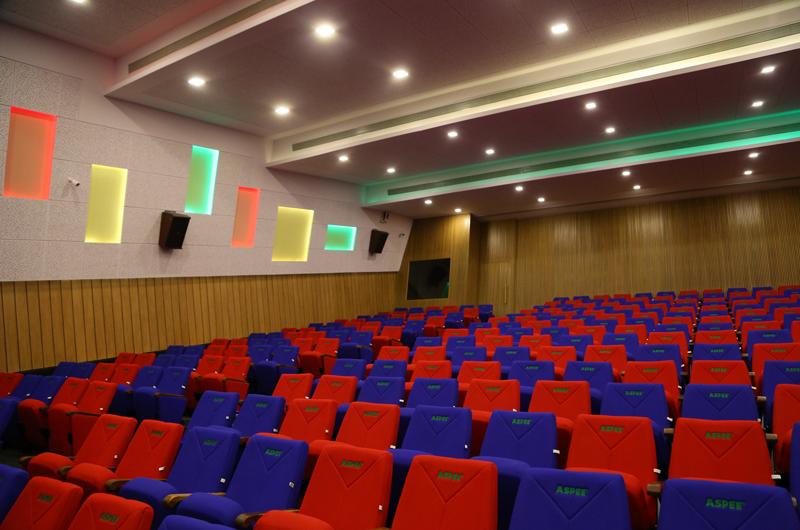 Hub for cultural, social and musical activities. 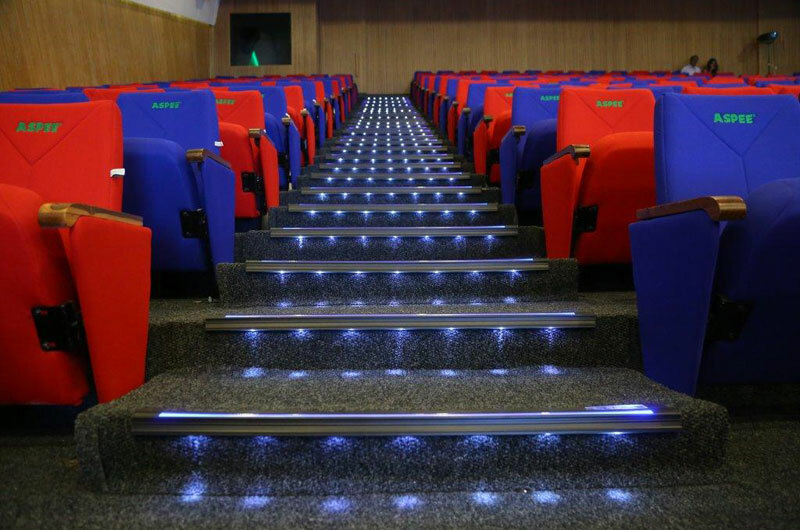 User friendly ingress and egress movement planned. 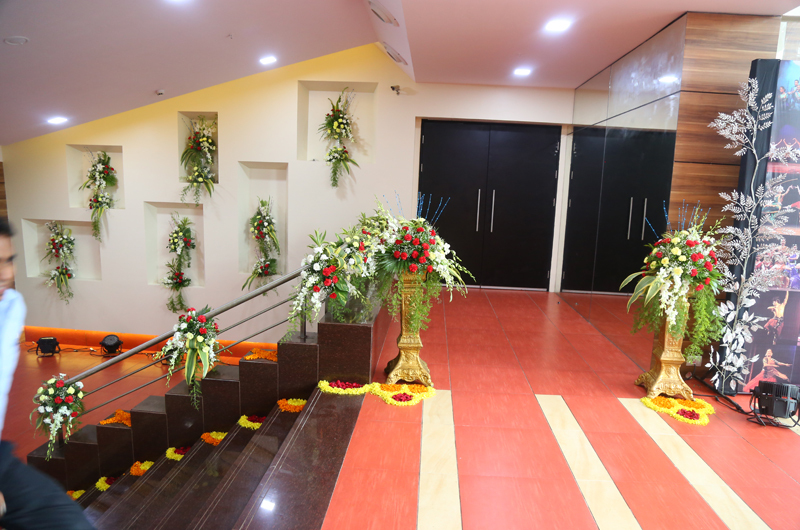 Aspee auditorium has a patronage of various social and cultural organizations. 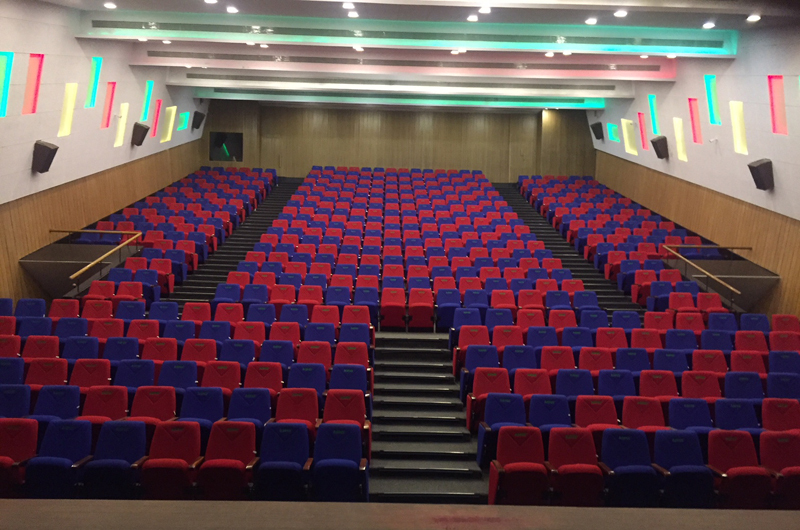 From september 2015 onwards our clients : commercial shows / dramas gujarati / hindi / marathi / marwadi / stage & film artists / religious discourses for communities & corporate companies medical seminar, talk shows, film & serial shootings have succesfully performed shows at our auditorium with host 0f celebreties attending the same. Over & above this schools / colleges annual day, dance competition / short skits by school / college students have also been performed sucessfully. 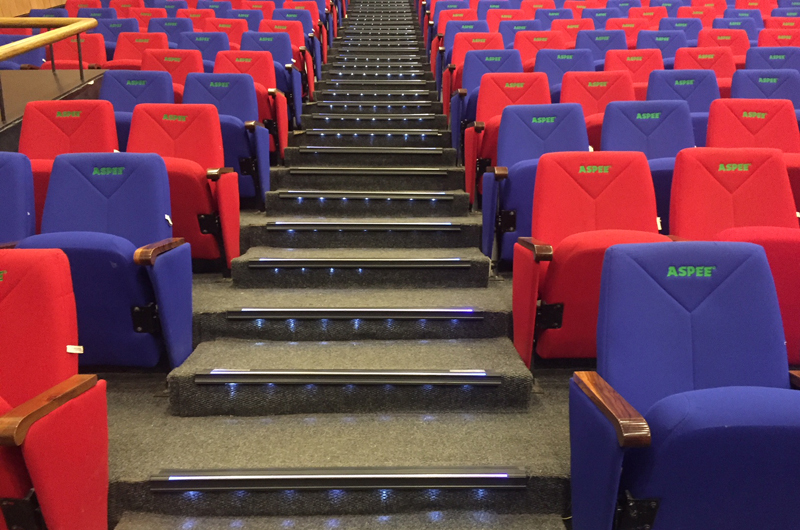 It will be a great theatrical experience for all. 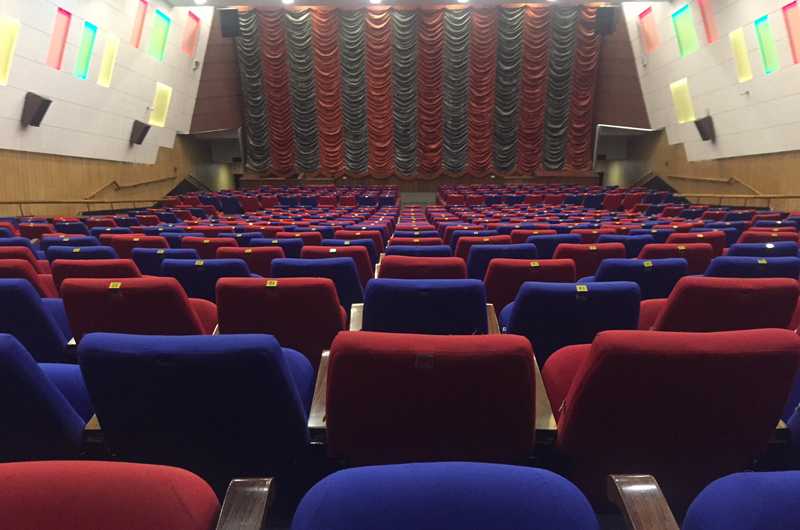 Let's all be part of cultural history of the auditorium. 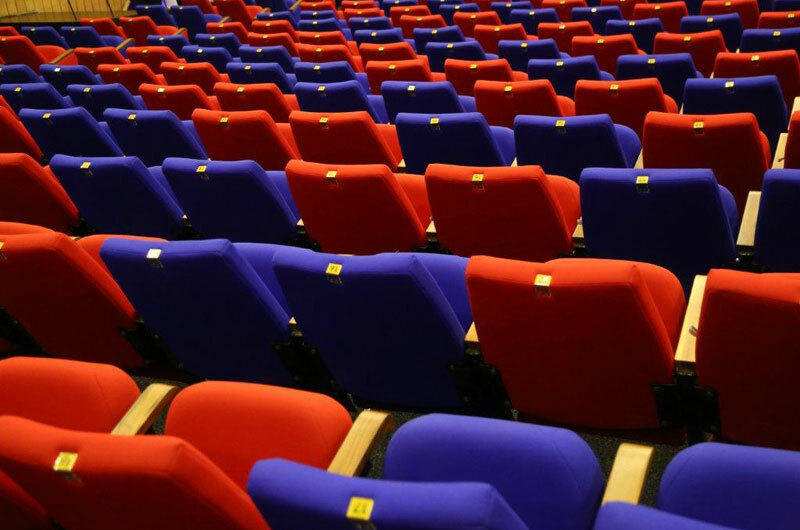 All decorations should be self-standing; nothing can be affixed in any way (including glue, tape, and thumbtacks) to Auditorium surfaces including walls, floors, ceilings, furniture, and equipment. Suspending materials from the ceiling or light Batten is prohibited. The sidewalks, entries, passages, vestibules, halls, or stairs must remain unobstructed. Also, the doors, stairways, or openings that reflect, admit, or generate light (including exit lights and emergency lights) into any portion of the building, including hallways, corridors, and passageways may not be obstructed. Candles should be enclosed in votives or similar holders. Please seek prior approval from Manager before using candles. Flower petals are not allowed on non-protected surfaces as they may stain our floors and counters. 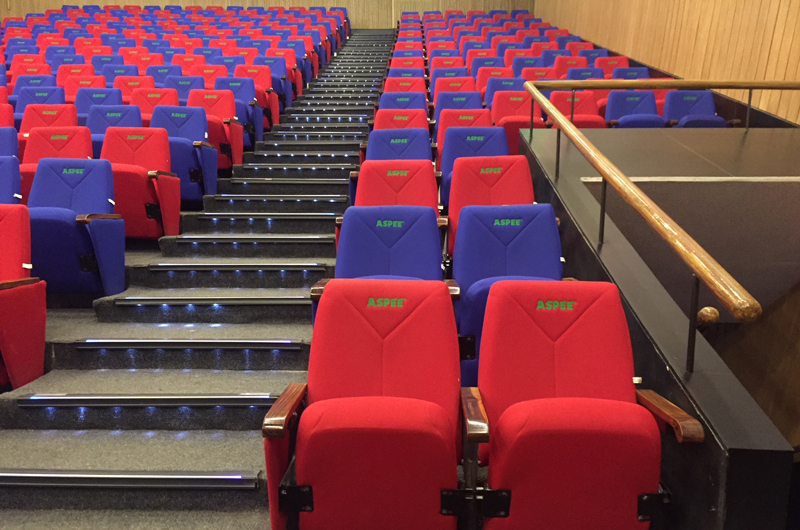 ASPEE AUDITORIUM management reserves the right to determine the appropriateness of all decorations in order to ensure that the facility remains clean and safe. Lets"s " ASPEE " be the next event for us.